It’s easy to pass off feeling tired and put it down to a multitude of things in our life – your job, your children, your relationships, but there is an enormous array of factors that might be draining you of energy – and often without you even realising it. For example, just sitting for more than an hour produces biochemical reactions in the body that make you feel more lethargic. Also, having open loops churning over in your mind impacts your body in a similar way to having too many apps open on your phone, flattening its battery and draining you of energy. 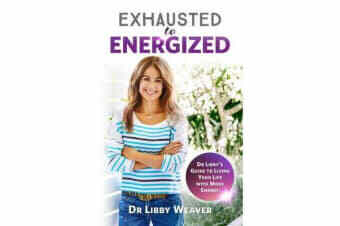 In this ground-breaking new book Dr Libby uses her unique three-pillar approach and exploresthe biochemical, nutritional and emotional factors that impact your energy, addressing such things as: Brain chemicals: your brain chemicals can have a significant impact on whether you’re able to approach your day with energy and understanding their intricate role in your energy can make such a difference; Food: we eat for energy but often find that the very foods that are supposed to give us energy, actually end up depleting us further; Sleep: why after a long sleep we can still wake up tired, even though sleep is supposed to be a great energy restorer; Teenagers: understand the tiredness that can begin in teenage years and why some people never recover from this teenage fatigue; Expectations: the expectations you place on yourself can be incredibly depleting of your energy – but finding out why can be life changing; Other people: conversations with certain people have the power to either drain your energy or inspire you; learn how to identify this before it happens; Coffee: can either help or hinder your energy, learn how to spot the difference; Movement: when you move regularly, your body gives you more energy – even when you’re resting; Allergies: that annoying sniffle you get each spring is actually stealing more of your energy than you might realise; Posture: choosing one posture over another can have a significant impact on your energy levels everyday – find out what serves you; Blood oxygen: is your blood getting the oxygen it needs and, if not, what you can do about it; Age: does your age really impact on your energy in the ways we are lead to believe it does? From teenagers through to adults, find out where your energy goes and how you can reclaim the vitality you once had. 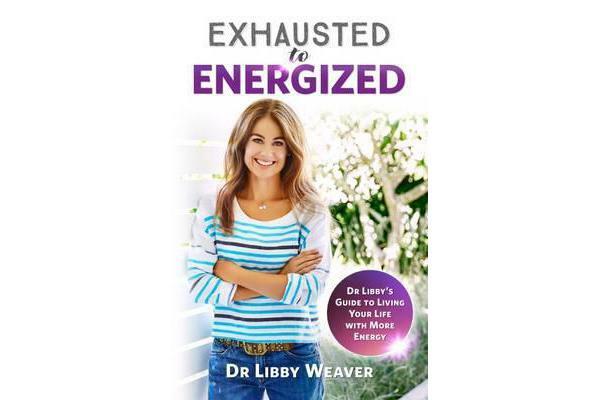 Empowered with the information in this book, learn simple but powerful strategies to help liberate yourself from exhaustion and live a life with more energy.